Have you been searching for a way to introduce more sensory play for your child? Play dough can be a great option for providing a true tactile play experience. 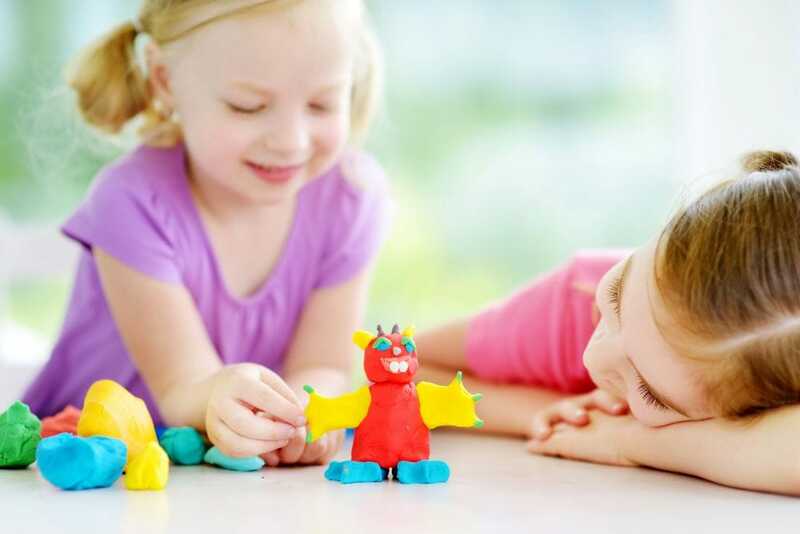 Play dough sets can spark your child’s creativity and inspire hours of open-ended play. They’re self-contained and come in an endless variety of themes. We’ve combed through what’s available and picked out some of the best play dough sets for your consideration. Use the links above to check the latest prices or read our in-depth play dough set reviews below. Why Choose Play Dough Sets Over Other Toys? Play dough is an iconic childhood sensory experience. The smell and feel of play dough is a classic hallmark of growing up. It helps encourage creativity and inspires open-ended play. It does more than just provide your child with some fun, though. Manipulating play dough works coordination skills and helps your child develop fine-motor control. Taking a small amount of play dough and turning it into a finished product exercises the small muscles in the hand. This will be invaluable when it comes to learning how to write. Play dough is also an activity that encourages social behavior. This can help accelerate language development and important social skills, like sharing. How old is your child? Make sure your play dough set is appropriate for your child’s age. Some sets contain very small pieces and are not suitable for young children. Does the set have longevity? Choose a play dough set that aligns with your child’s ongoing interest. This can help ensure the toy continues to catch your child’s interest and prevents it from sitting unused on your shelf. How versatile is the set? Are replacement parts or additional accessories available? What will happen to the set if a piece is lost or broken? Shopping for play dough is always a fun experience. Play dough dries out with use, it can get grubby, and it can also become muddled with other colors. That’s why you’ll likely want to replace your play dough regularly. The great thing about play dough is that it’s affordable and easy to replace. And if you’re looking to make the play dough experience even more special, consider making it at home with your child. Have a better idea of what you’re looking for when it comes to shopping for play dough sets? Here are some of our favorite sets on the market. This accessory pack is a great all-purpose set to add to your play dough play routine. It can be used with a variety of other sets for extra fun. The 25 pieces in this accessory pack include cookie cutters, rolling pins, and straight and decorative wheel cutters. 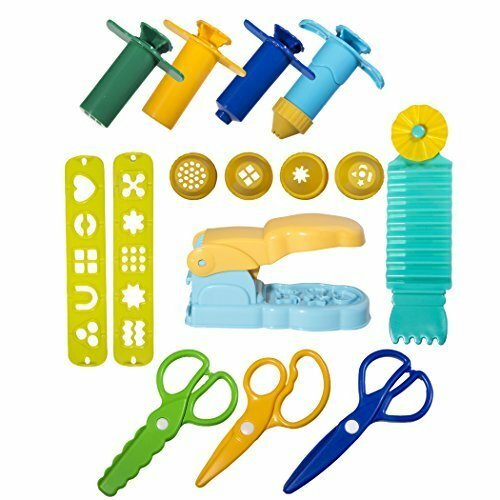 In addition to the great cutting tools, there are fun hands, eyes, and clothing accessories to create play dough people. Recommended for preschool-aged children and older. If you have a child who loves to bake, this Sweet Shoppe set is a great option. It’s been tested for quality and durability and meets safety standards. It comes with a variety of fun accessories, including embossed rolling pins and cookie cutters. Your child will love how realistic the set is. It even comes with a baking tin and a spatula, so your little baker will delight in making you dozens of iced and decorated cookies. Suitable for children ages 3 years old and up. This is a great all-purpose set for your child’s collection — it can be the only play dough set you own, or it could round out your collection. It comes with cookie cutter-style shapes and rolling and cutting tools. Also included are number forms, a press, and 10 different Play-Doh colors. 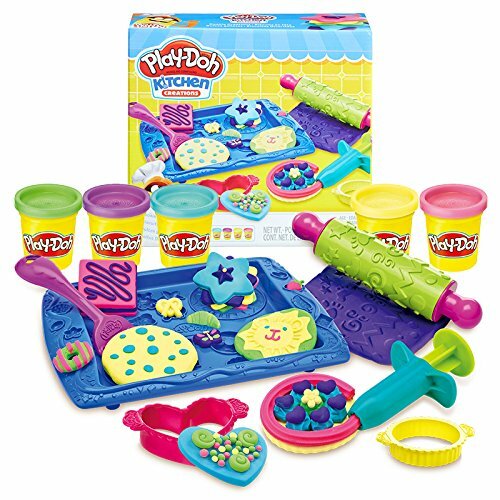 In addition to the accessories and tools, this set comes with fun playmats to help keep the play dough experience contained. For children aged 3 years old and up. This is a great set that includes both a push-down table press and hand-held tube presses. Multiple plates for the table press are included, creating a variety of shapes. The tube presses also come with interchangeable forms. This set comes in a convenient storage case. You’ll also love the cutting and texture tools. Give your child’s imagination free rein with this set they’ll love to use. For children aged 3 years old and up. 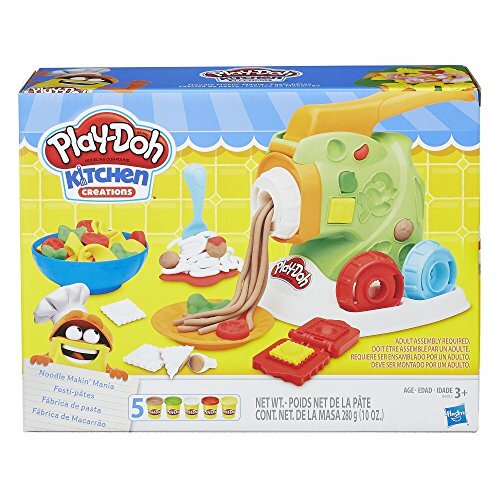 This play dough set comes equipped to make pasta meals so deliciously realistic you may need to make sure your child doesn’t try eating it! They’ll be able to make spaghetti, bowtie pasta, ravioli, and shaped pasta. They can also top their pasta dish off with mushrooms, shrimp, and lettuce. 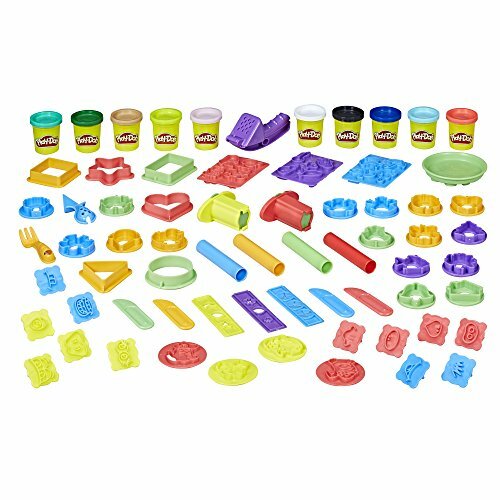 Included with this set are fun play dough colors in just the right shades for accurate food representation. Your child will have a bustling bistro in no time with this playset. For children 3 years old and up. Great play dough toys are available at every price point. This basic fun factory set will provide your child with hours of fun — without breaking the bank. This play dough set comes with a standard press. There are interchangeable forms that allow you to create up to 10 different shapes. 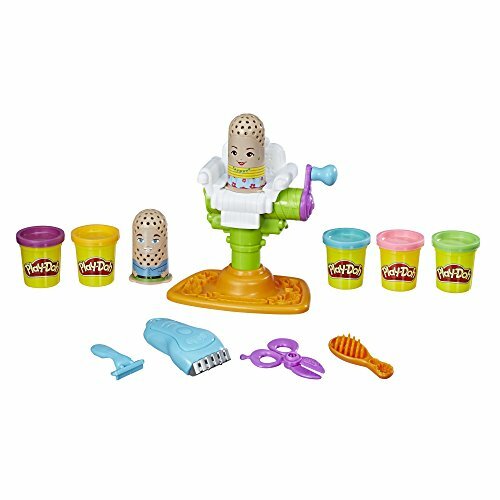 This is a standard Play-Doh fun factory that should work with other fun factory models and accessories. For children 3 years old and up. 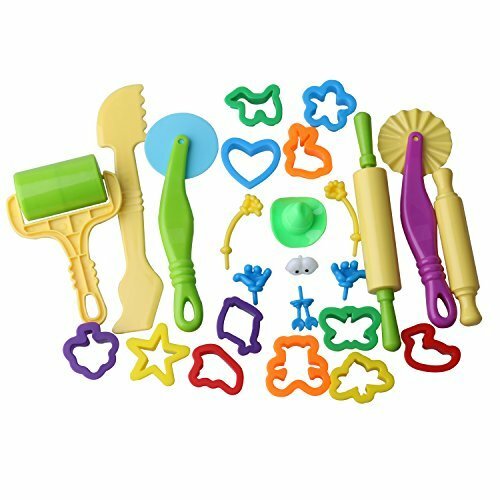 Not all play dough tools and sets need to be made from plastic. 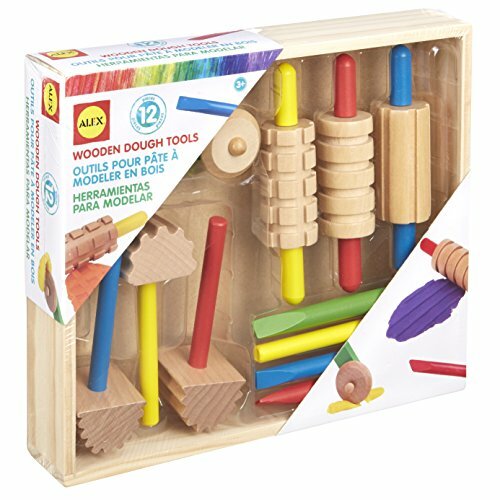 If you’re looking for an alternative, this wooden play dough set is a great option. There are 11 different tools included. Brightly colored handles and fun textures add to the appeal. Let your child’s imagination run wild as they shape and manipulate their play dough into fun creations. Suitable for children 3 years old and up. Nothing screams summertime more than delicious ice cream. 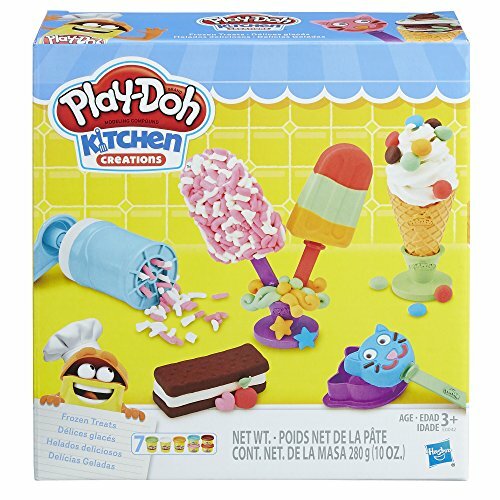 Now your child can recreate the feeling of their favorite ice-cream truck dessert year-round, with this Kitchen Creations Play-Doh set. With this set, children can make fun sprinkles, ice cream sandwiches, and ice pops. It comes complete with multiple molds, popsicles, and even a whipped cream tool. 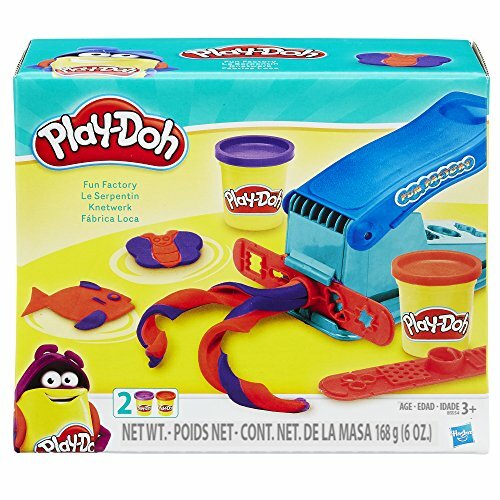 Seven different Play-Doh colors are also included. For children 3 years old and up. Tired of endless meals when your child has pulled out the play dough? 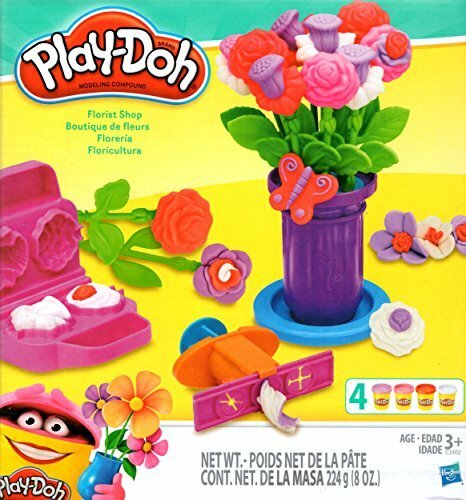 This fun florist shop from Play-Doh is a great way to give them something a little different. This set comes with four different tubs of Play-Doh, in vibrant flower colors. Your child will love the molds that will allow them to make roses, butterflies, and leaves. A cute vase and additional accessories will have your child feeling like a bonafide florist. Recommended for children 3 years old and up. 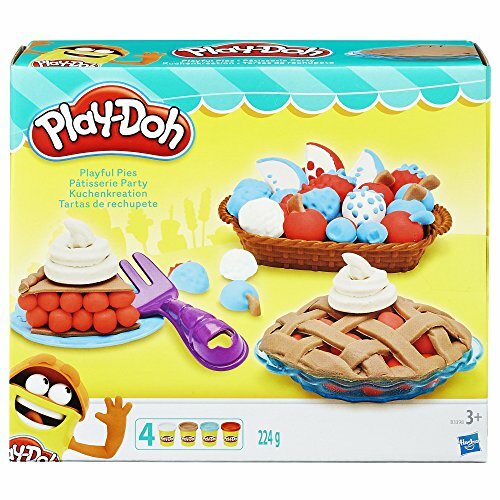 This baking-themed Play-Doh set will have your child making delicious looking pies in no time. This set comes complete with pie tins and plates, forks, and tools, to make perfect crusts and whipped toppings. A fruit basket and molds for popular fruit pie ingredients are also included. Four different colors are included, for pies in exciting colors. Suitable for children 3 years and older. If you have a child who loves My Little Pony, this Play-Doh set is worth looking into. 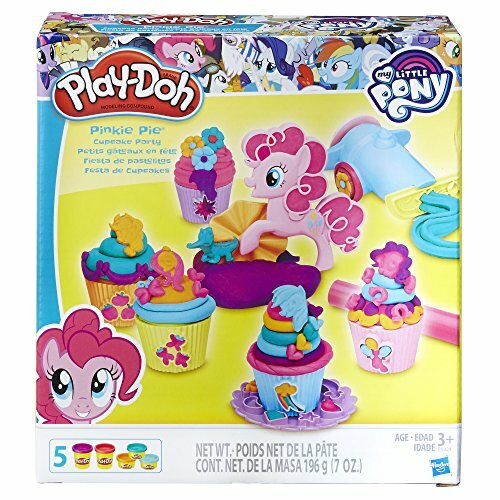 This adorable set will have your child making cupcakes with Pinkie Pie. They will love the fun cutie marks of the other ponies that come with this set. In addition to the cutie marks, this unit also has five tubs of Play-Doh, cupcake molds, and decorating tools. For children 3 years old and up. Dinosaurs never go out of fashion — especially for kids. 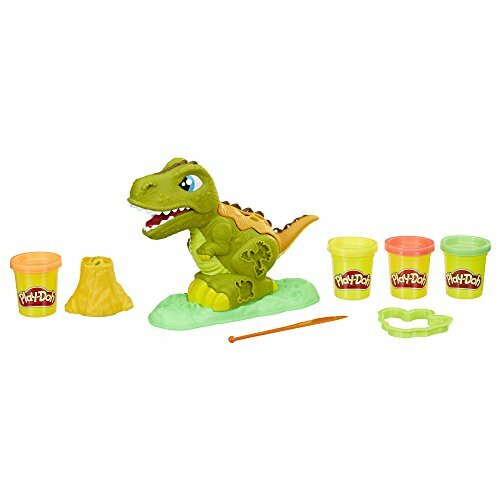 This fun Play-Doh set combines two things your child will love — play dough and dinosaurs. Included is Chomper, an adorable T-rex. He comes with four different play dough colors and even his own volcano that erupts fiery strands of play dough. Your little one will be able to complete their prehistoric landscape by making small creatures, using the embedded molds in Chomper’s body. For children 3 years old and up. 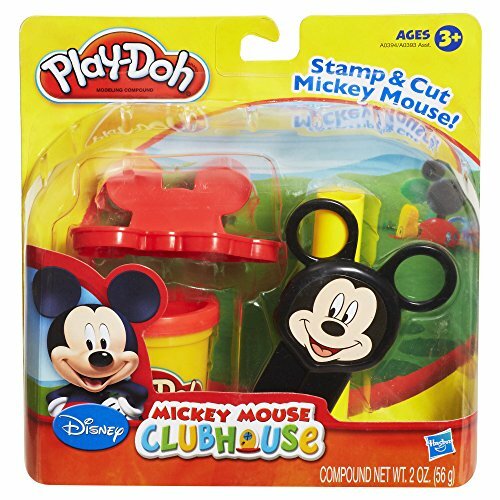 Your toddler will recognize their beloved Mickey Mouse in this fun Play-Doh set. It’s simple to use, with a press-style cookie cutter in the shape of Mickey Mouse. It comes with a tube form and a pair of scissors, also shaped like Mickey. This set contains no small parts, so it’s a great option for a younger child. Included is a tub of red play dough. For children 3 years old and up. This fun set is great for kids who can’t get enough of doing hair. Simply pop the playdough into the press and your customer grows beautiful hair. Then your child can trim and buzz it just how they want it. Your child will love coming up with new hairstyles and fun characters. This toy requires two AAA batteries and is recommended for children aged 3 years and older. 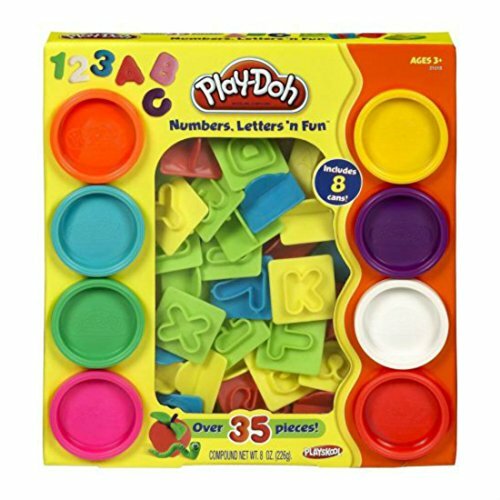 This Play-Doh set is a great way to introduce alphabets and numbers to your child. The set comes with more than 35 different pieces, and includes the alphabet and number cutters. Reinforce what your child’s been learning elsewhere with this fun set. This unit also comes with eight different Play-Doh colors. For ages 3 years and up. These are some of the really great play dough sets available. If I could only add one to my existing collection, though, I would definitely reach for the Playdough tools. It’s just such a great, versatile set that your child can use with their favorite colors and existing sets. Do you have a play dough toy your kids can’t get enough of? What’s your least favorite part about play dough? We’d love to hear all about it — drop us a note below.